Futura Genetics is a Canadian company founded in 2014 with corporate headquarters in Vancouver. It specializes in healthcare and lifestyle genetic testing and aims to provide its users with knowledge on the human genome in a simple and affordable manner. 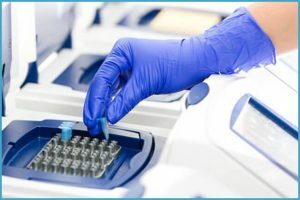 Recent scientific breakthroughs in the field of DNA sequencing have reduced the overall cost of DNA extraction, making genetic information available to the general public. Futura Genetics has capitalized on that fact and developed highly accurate DNA tests for a great number of life-altering diseases and conditions. The ultimate goal of the company is to take the complexity out of genetic testing with accessible and innovative lifestyle products, allowing people to live better lives. Continue reading our Futura Genetics review to learn how information locked in your DNA can help you improve your life as well. Order – You can place an order through Future Genetics’ website and the company will send a DNA testing kit to your address by express shipping completely free of charge. 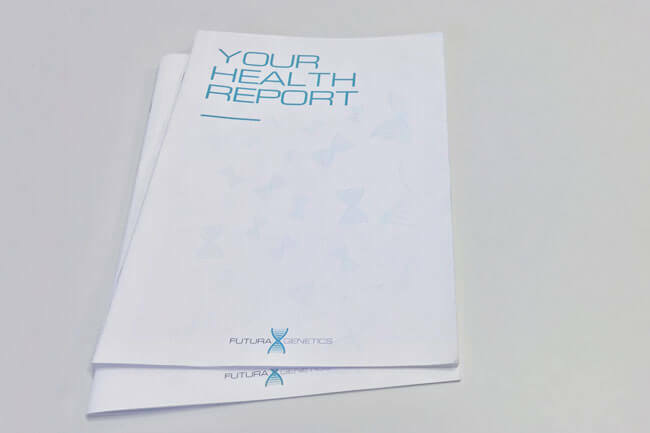 Sample collection – Futura Genetics uses a saliva-based DNA test kit. It may take you a while to fill the container with saliva, but it’s a more fortunate alternative to drawing blood. Sample Registration – The next step is to register your testing kit. You can do that through your personal account by clicking on the “Register your kit” button. Just follow the instruction and, once finished, you’ll receive a confirmation email. Your profile timeline will also indicate that your kit has been registered. Note that the registration will require your unique barcode, which can be found on the bottom of the collection tube. It will contain 8 digits so make sure not to type in the * when registering. During registration, you’ll also get to choose the language of your report (English or German). Sending the sample back – After you’ve collected your DNA sample, you can contact the company through your personal account and request collection. Futura Genetics will send a courier to pick up your DNA test kit so you won’t even have to mail the sample yourself. The entire procedure is also free of charge. Before the final report is generated, you’ll be able to monitor the status of your sample in the “members area” on the site. Moreover, you’ll also receive a confirmation email for every completed step. Final report – The results are usually ready within 4 weeks and they’ll be available online for inspection. You can also share them with your physician to equip him/her with information about your genetic predispositions for certain conditions. Note that the company offers you the possibility of not seeing your results for Alzheimer’s disease even though this is not recommended. Futura Genetics allows its customers to explore exotic and psychological parts of their personal DNA puzzle, which is something other DNA testing companies usually omit from their portfolios. Futura Genetics currently offers just one test at the price of 375$ for customers from the US and Canada or 339 EUR for European customers. The test is designed to determine the genetic predisposition factors for developing one of 28 different diseases and conditions. DNA analysis – Once your DNA sample arrives at the laboratory, the testing procedure begins. The first step is to isolate and detect your DNA. DNA technicians isolate, amplify, and detect your DNA following a carefully optimized protocol. During this step, the information locked within your genes will be extracted and interpreted. Using cutting-edge bioinformatic tools, Futura Genetics experts will compile a report indicating the presence of potential SNPs (single nucleotide polymorphisms) and genetic prerequisites for certain diseases. PCR and DNA fragmentation – In order to provide enough material for APEX detection, your DNA sample will be amplified. This entails a chemical reaction called PCR (polymerase chain reaction), wherein your DNA molecules are copied many times. By the end of the reaction, there will be billions of copies of each molecule within your DNA signature. Note that only selected DNA regions known for potentially containing SNPs are amplified. Given the length of DNA molecules, they are afterward fragmented into smaller pieces for easier handling. Apex reaction – This is a critical step for successfully detecting SNPs. Here, the fragmented DNA mixture is transferred to the chip with chemically attached single-stranded DNA molecules (also called primers). The reaction mixture contains DNA synthesis nucleotides and 4 DNA terminator nucleotides with different fluorescent labels. The synthesis of a DNA molecule stops once the terminator nucleotide is incorporated into it. The process generates an array of DNA fragments, each labeled with a different color. Apex detection – For SNP detection, the labeled chips are visualized in a Quattroimager, which is equipped with lasers and a specialized camera. The color patterns are recorded there and then analyzed by the Genorama Genotyping Software. This program “translates” the images into DNA sequence data, which is used to detect SNPs. Data analysis and interpretation – Using the sequence data, the presence of potential SNPs is determined in DNA sections related to certain diseases. This info is then compared with previous knowledge in order to compute the risk of developing a certain condition or disease. This is how your final report is generated, indicating the presence of any SNPs and sequencing information. As we already mentioned in our Futura Genetics review, its DNA test scans for 28 different diseases and conditions, including Alzheimer’s, lung cancer, Lupus, Melanoma, Migraine, Alopecia, Multiple Sclerosis, obesity, breast cancer, prostate cancer, type 1 and 2 diabetes, and others. If you already tested with 23andMe, Futura Genetics allows you to upload your raw data file and get its full DNA report in minutes instead of going through the entire testing process again. This service is significantly cheaper than the full test and currently costs only 99$. Your personal information is stored within the European Economic Area (EEA), but it may be processed by individuals working for Futura Genetics outside of the EEA. 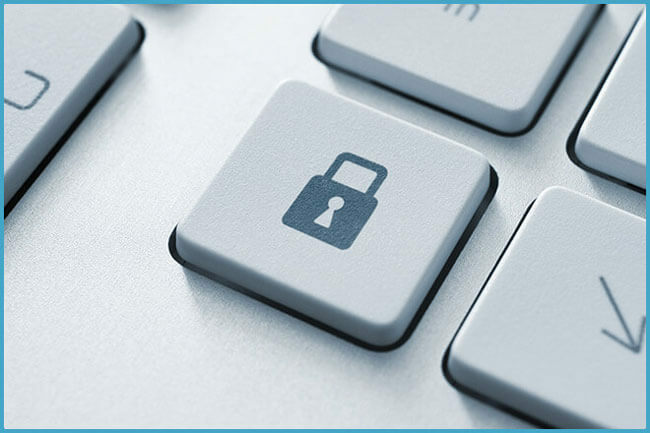 The company, however, states that it will do its best to protect your data, but that it cannot guarantee absolute security. Contrary to what you might think right now, this statement is highly commendable. Futura Genetics incorporates SSL data transfer protection on its site, but it still recognizes the possibility of a potential breach. The company will never provide any private info over phone or email. In order to solve a potential problem or get certain answers, you’ll be required to provide your order number, unique barcode, name, and email address. The kit is also completely anonymous and can only be identified via the barcode. Once your final report is assembled, your DNA sample is destroyed, so it will never be used for any other DNA testing besides the one you ordered. Futura Genetics uses a courier company (DPD) to deliver and collect your DNA testing kit once you’ve provided your saliva sample. As we mentioned in the previous sections of this Futura Genetics review, it is the only DNA testing provider that arranges the collection of your DNA sample so you wouldn’t have to mail it yourself. Shipping and collection are absolutely free of charge. 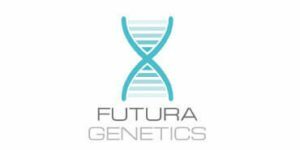 Futura Genetics couriers pick up DNA samples Monday to Friday from 8:00 AM to 18:00 PM. The company ships their kits worldwide, so you can order its DNA test no matter where you live. Even though the company boasts otherwise, its DNA test is nothing new on the market of exploring prerequisites for genetic diseases and conditions. There are plenty of similar tests out there and the ship of being a pioneer in the field has long sailed. Having said that, it doesn’t really matter whether it is the first or not as long as it provides excellent service, which it certainly does. Every single step is carefully optimized and conducted by professionals with over 15 years of experience. Its testing facility leaves no room for errors or failed tests and there are numerous little features that make its service a truly refreshing experience. Our ratings are the result of an objective and independent evaluation of Futura Genetics, generating the final rating that reflects the overall quality of the company. Ratings may change as the service changes. Futura Genetics user rating based on 6 user reviews. I've also tested with 23andme and I couldn't believe these guys pick up the kit themselves. Excellent service and pretty clear results. I only wish they offer results in more languages. Really pleasant and profesional support staff. They answered all my questions and were very patient with me. They should test for more diseases, that's my only complaint. We found 0 verified Futura Genetics discounts for April, 2019. There are no Futura Genetics coupons or discounts right now.